....and everything nice. 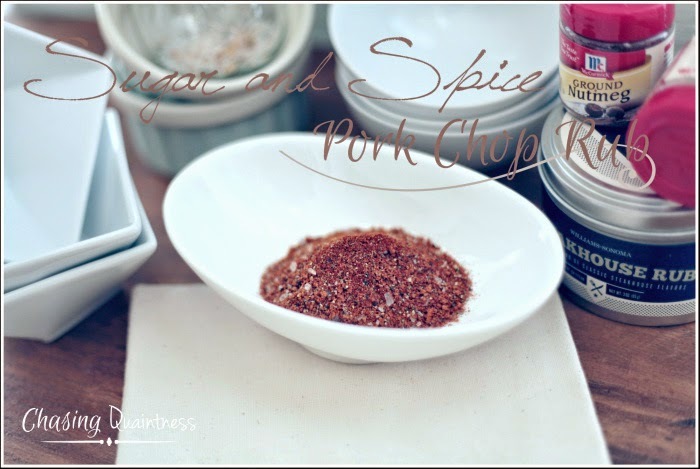 That's what these pork chops are made of....well, not the pork chops, just the Sugar & Spice rub ON the pork chops. Happy Memorial Day! Yes, I know the day has passed, but we were sick and didn't feel like grilling out. So we post-poned our lame celebration until later in the week. Lame, because we are still not running at 100%, therefore, there wasn't a lot of celebrating. The hubster wobbled to the grill while I propped myself up on the stove. This is a new recipe for me. I found it on the PorkBeInspired.com website. 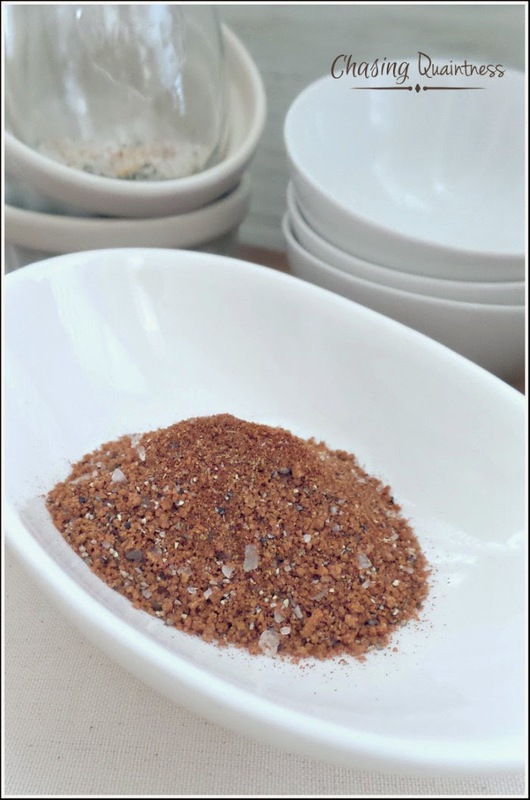 Since we enjoy the flavors of sweet and spicy, and more importantly, had all the ingredients on hand, I thought I would mix this up and give it a try! Without further adieu, here's the recipe and a couple of photos of the end result! The meat was so tender and the rub flavored it very well. And color? Perfect! You can see that the rub didn't fall off during grilling. Letting the rub sit on the meat before tossing it on the grill was a two-fer....it helped keep the spices on while cooking and infused all of those flavors into the pork. 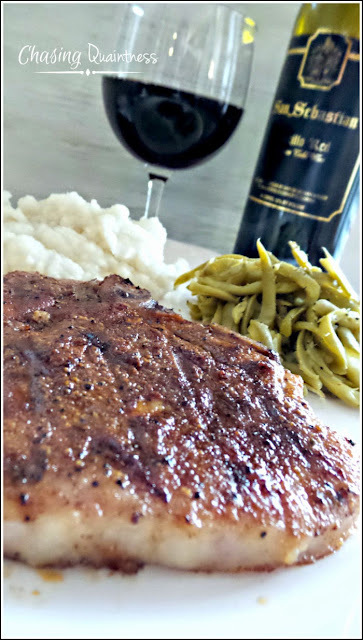 I kept the meal simple and paired the chops with some Garlic Mashed Potatoes and Lemon-Pepper Green Beans. So what will I change about this recipe? I may add a little less cumin or a little more cinnamon and brown sugar to balance out the cumin. It did seem a little cumin-heavy to us. 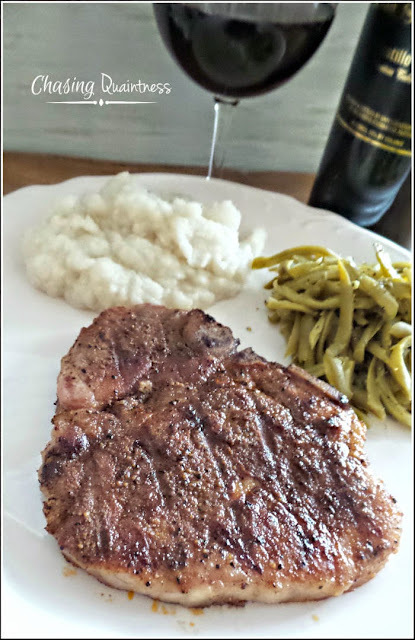 Of course, in my not-well state, I could have rubbed more cumin on the chops in some places and not in others. Or, I might not have blended the spices together well in a small bowl. The variables are many. Give it a try and let me know what you think. I would be interested to know if it was our still-too-sick-for-this-meal taste buds or if the amount of cumin needs to be adjusted. My husband would love this! I hope you are feeling 100% now! LOL….let me know what you think! Hugs!! Thank you! They were….an easy grilling recipe. I think we'll have to give this recipe a whirl next time we grill! 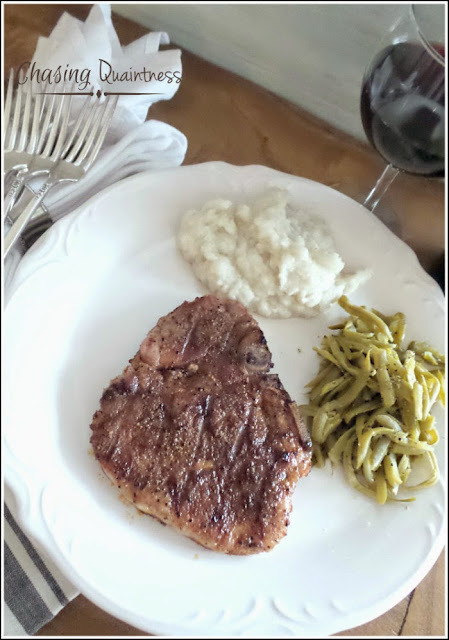 Thanks for joining OMHG Wordless Wednesday! Shellie, I think you will enjoy it! Thank you for hosting! Have a great day! Thank you and thank you for hosting! Have a wonderful day! Sounds delicious Benita! I will definitely be trying this. Hubby just bought us a half of pork so I have a freezer full. Thanks for sharing with SYC. Hope you both are feeling like your old selves! Thank you Jann! I think you will like it and we are much, much better! Thanks again and have a great week!! Hi Benita, just hopping back to let you know that I will be featuring you this week at SYC. Aww, Jann, thank you so very much! Have a wonderful day and thank you again!